Fire and Rescue Commission lifts state of emergency, firefighters to resume normal work as of Tuesday. Shimon Ben Ner, Acting Commissioner of the Fire and Rescue Commission, officially announced on Monday evening that after an assessment of the situation, the firefighting services will resume their normal work as of Tuesday morning. With the announcement, Ben Ner ended the state of emergency that has been in effect over the last week as firefighters battled the forest fires that raged across Israel. The last of the reservists who were summoned for the purpose of assisting in putting out the fires will be discharged on Tuesday. In recent days, the firefighters dealt with some 1,773 fires in open areas. At least ten firefighters worked to extinguish 39 of the fires. 25 of the fires are investigated as arson. 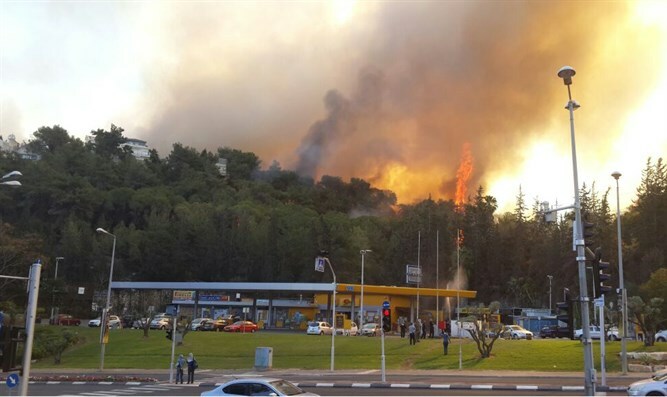 About 900 firefighters were on duty every day and last Thursday, when the first reports of the massive fire in Haifa were received, a general mobilization was declared and the number of fighters on the ground at the fire stations reached 1,616. In addition, 450 reservist firefighters were mobilized by the Home Front Command. It should be noted that at the height of the fires, 375 fire trucks operated simultaneously around Israel.